Today Converse launched the Jack Purcell Evo tennis shoe, the latest addition to the Jack Purcell family. 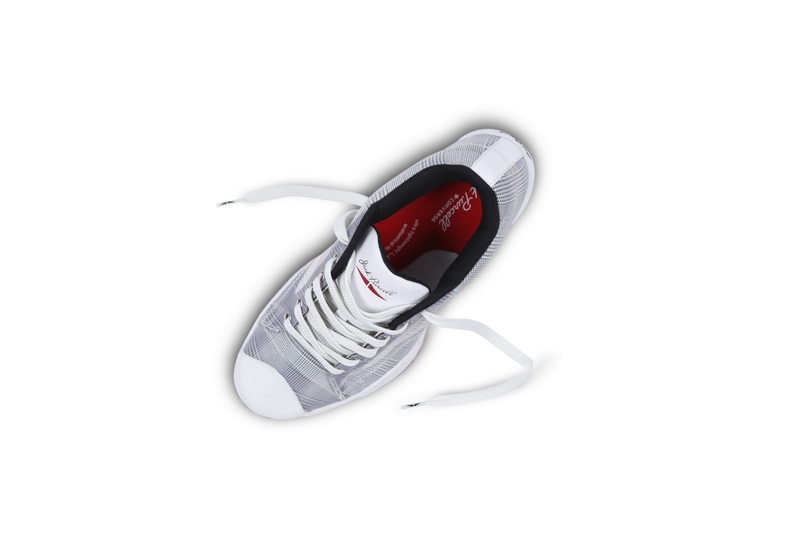 It combines the classic look Jack Purcell is known for with state of the art Nike technologies, making it one of the lightest and most comfortable tennis shoes ever built. The Jack Purcell Evo shoe is carefully crafted with high tech performance benefits presented in a clean, simple package – perfect for on and off court action. 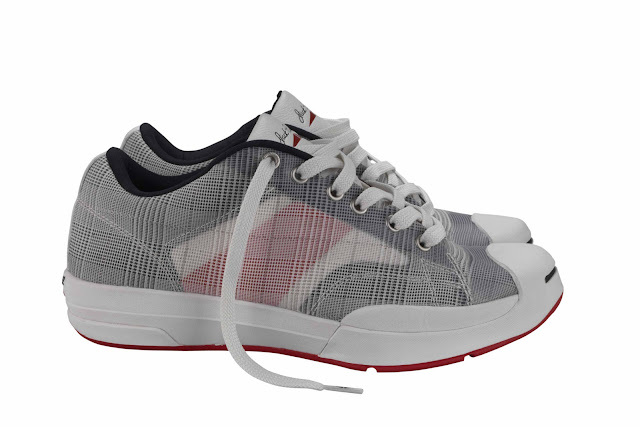 The upper sports a stylish glen plaid mono-mesh woven with Nike Flywire technology for the perfect blend of breathable performance and style, keeping feet cool all the way through the fifth set. 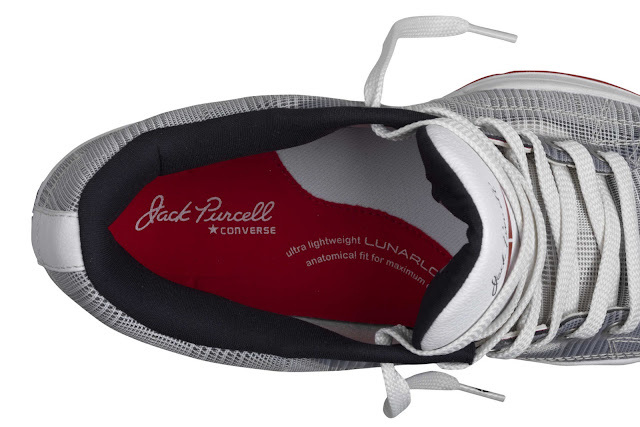 The trademark rubber toe sports the Jack Purcell smile just as it did more than 75 years ago, maintaining that iconic look. 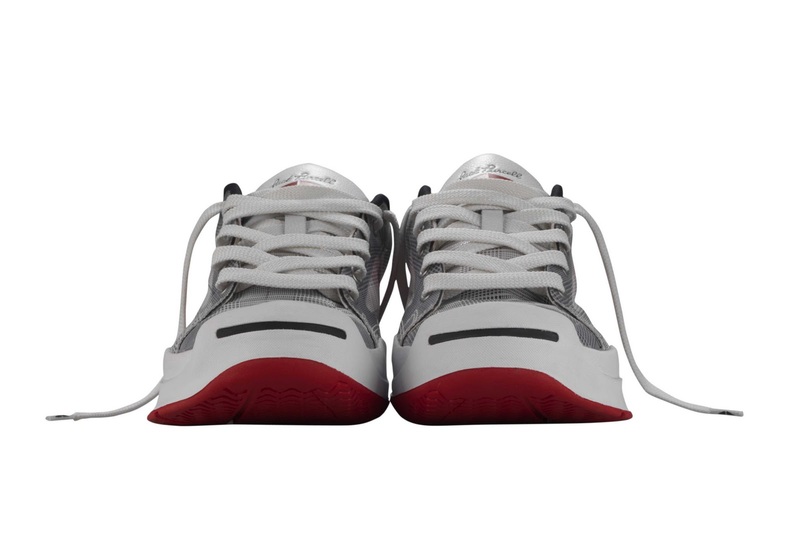 The foundation of the Jack Purcell Evo shoe is built with an ergonomic foot form that comfortably cups and supports the feet. 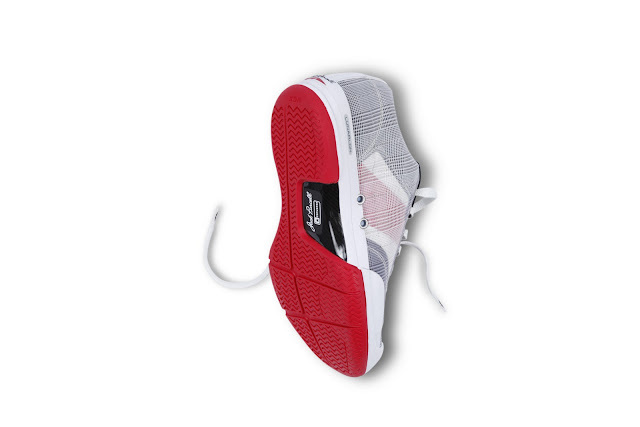 Nike Lunarlon Foam, one of the lightest foams ever engineered for footwear, gives the shoe a light and bouncy feel. For increased support in extreme lateral movements across the court, the Jack Purcell Evo features lateral rubber wraps and a composite mid-foot shank which adds torsional rigidity. The combination of a heavy-duty molded heel counter and mid-foot containment strap provides great heel lock-down. 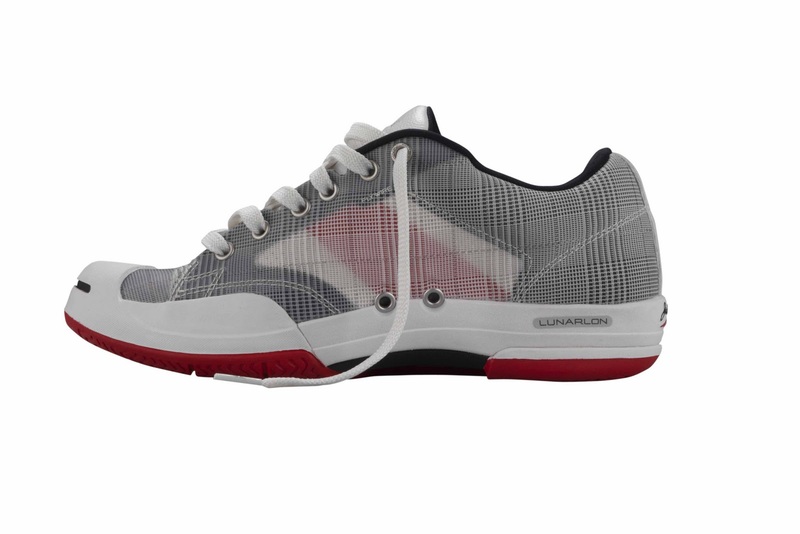 A Herringbone tread on the bottom of the shoes gives excellent traction on multiple court surfaces, while biaxial flex grooves allow the foot to move more naturally. 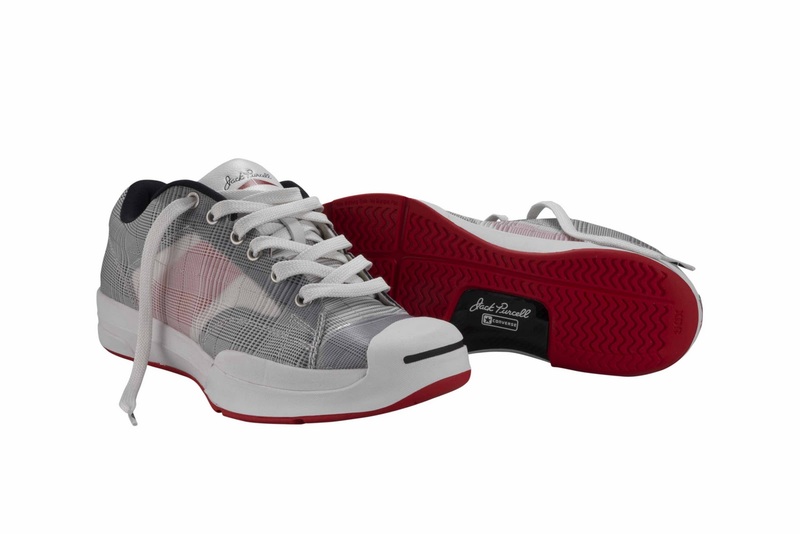 Jack Purcell shoes have been popular with tennis players since their inception in 1935, when world famous badminton champion Jack Purcell helped design an innovative and durable court shoe that raised the level of quality in performance wear. 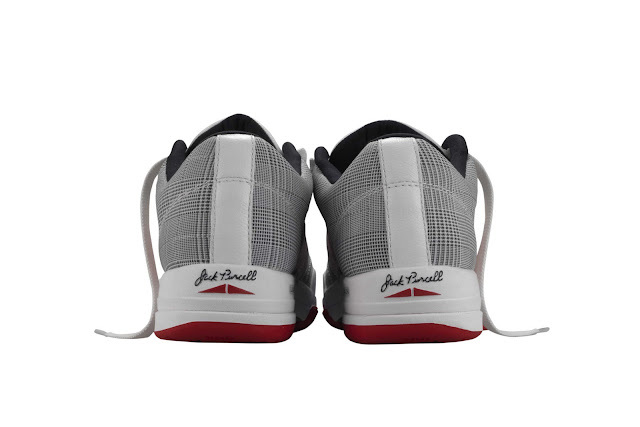 They quickly became must-haves for the aspiring Hollywood actors and actresses that Purcell gave tennis lessons to in the ‘30s and ‘40s. 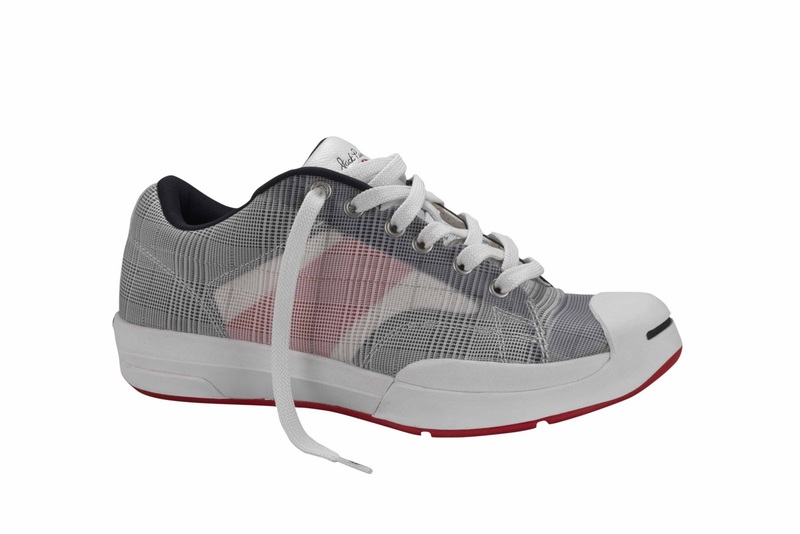 Eternally hip and understated, this classic court shoe now pushes that status in a progressive new direction. 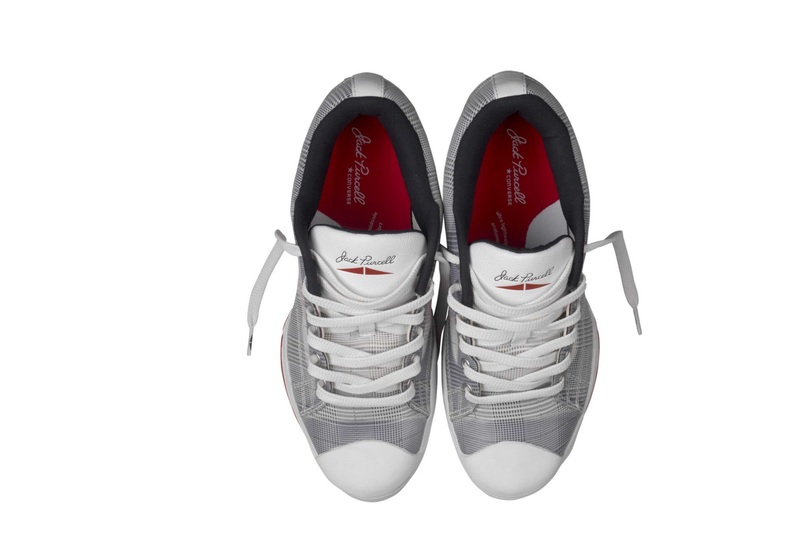 With a contemporary twist on the classic 1930’s silhouette highlighting the telltale smile toe, the Jack Purcell shoe embarks on a 21st century renaissance injected with a refined and simple style.